Are you ready to rob some banks? 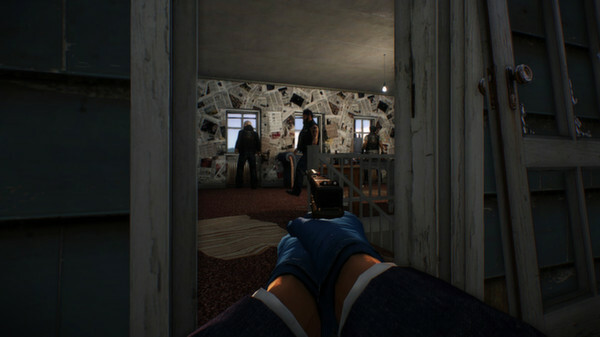 PAYDAY 2 is showing signs that it's getting closer to a Linux release. This could mean it will come tonight, tomorrow, in a week or later. It's a good healthy sign that the developers are working on it regularly. It has suffered a bit of review-bombing over the introduction of micro-transactions in CS:GO style drops, and buying drills to open them with. They took on feedback and added in drills as a drop too (from what I read), but it hasn't helped the masses of negative reviews. It still has regularly over 10,000 players online, so I would say the game is still pretty healthy. It's encrypted, it is not out yet. It's about time! It was announced over a year ago... And yet, it's still not actually out, so we could be waiting a lot longer yet. Good to see another heavyweight title coming to Linux. The more, the merrier. Quote It has suffered a bit of review-bombing over the introduction of micro-transactions in CS:GO style drops, and buying drills to open them with. Given that earlier the developers vehemently promised that they would never implement microtransactions, I'd say the backlash is warranted. Almir needs to be slapped with an oversized piece of toast. I wouldn't waste money on this. Kimyrielle Good to see another heavyweight title coming to Linux. The more, the merrier. This is the most important thing. Even in a period of player controversy, at least Payday 2 a name people recognize. No. In my Lib and downloading now. You won't be able to play it, afaik it's just sound data and stuff (I only get a 0KB download).